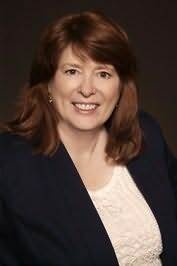 Willa Blair is an Award-winning and Amazon and Barnes & Noble #1 Bestselling author of Scottish historical paranormal romance. She has been featured on and contributes to USATodays Happy Ever After romance blog, Savvy Authors, Romance University, and more.Her books have won numerous honors, including Readers Crown finalist, NightOwl Reviews Top Pick, Marlene, Merritt, Crowned Heart; and Historical Romance finalist and Honorable Mention in InDTale Magazines prestigious RONE Award, honoring the very best books in the Indie and Small publishing industries. Set in a pivotal point in Scottish history and filled with men in kilts, psi talents, and plenty of spice, her popular Highland Talents series is available in ebook, print, and audiobook formats. The Highland Talents series and her debut contemporary, Sweetie Pie, will soon be joined by more ontemporary romances and new Scottish Historical series.